Theme Party Ideas: Movie Night! 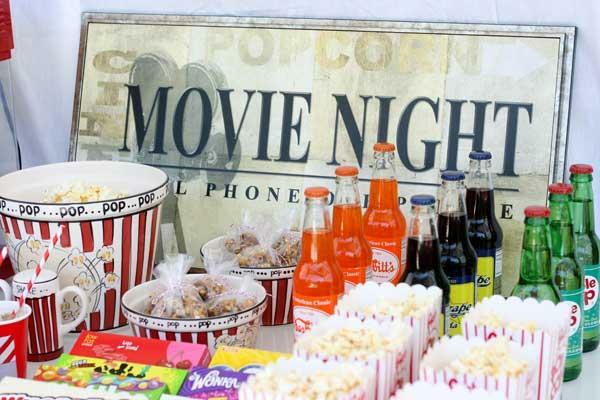 Everyone loves a movie night, but this Movie Party Theme by celebrations.com shows you how to make a party out of it. With cable, satellite and Netflix available to practically everyone, it almost doesn’t matter what movie you choose. The fun part is re-creating the theater experience in home, from the ticket (invitation) to the movie-theater treats! These movie night theme party ideas all start with a ticket. 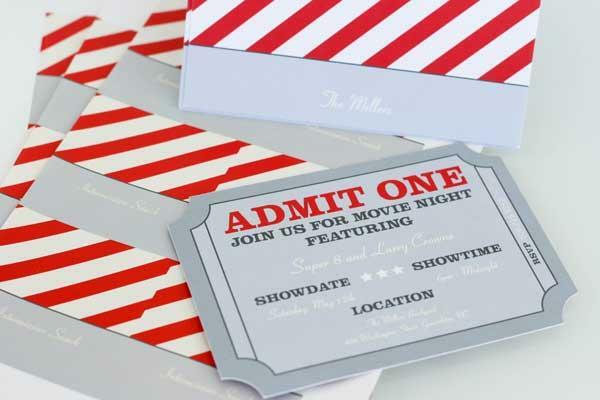 Pear Tree’s Admit One Movie Night Party Invitations with their clipped corners and striped backs are vintage-movie-theater perfect! They even have matching address labels. From there, it’s really all about serving the right nostalgic movie-theater treats. For decorations, celebrations.com suggests looking for movie posters of the film you’ve selected to watch, if you can find them. You can also create a movie night sign to add to the atmosphere. 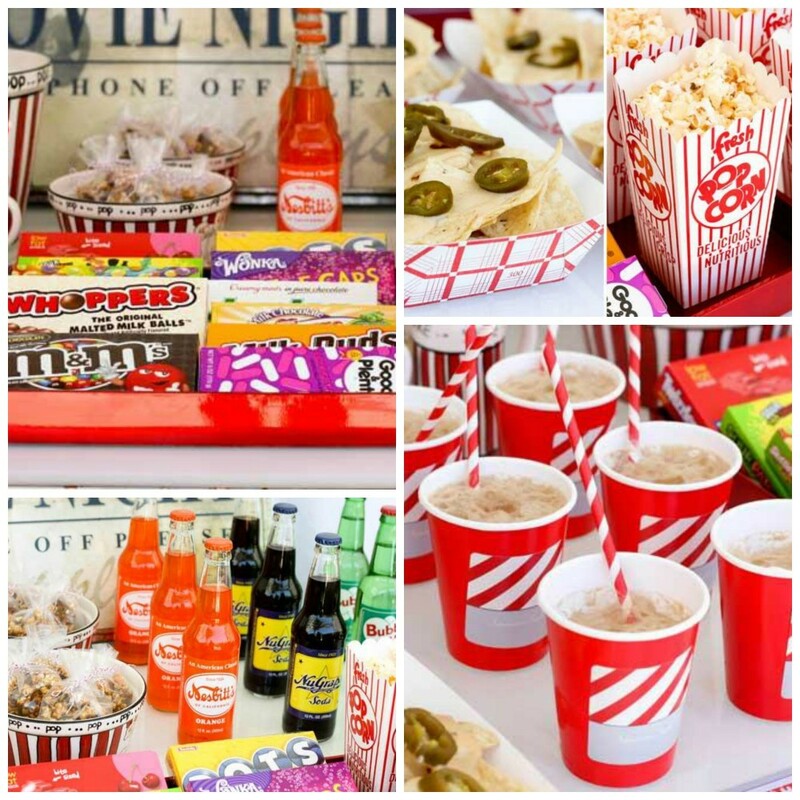 For a movie party theme, the most important theme party ideas are all about the concession stand. Boxes of classic movie-theater candy such as Milk Duds and Whoppers, stacked on a tray, will give your table the look of a concession-stand display. Set out bottled sodas for a vintage feel, or make ice cream floats for fun. Of course, no movie night is complete without favorites like nachos and popcorn. Popcorn boxes are available at places like Hobby Lobby or Party City, so guests can grab one as they head to their seats. Flavor your popcorn with cheese, spices or flavored salts for a special treat.